The Texas Classic bills itself as “Not Just Another Horse Show,” and this year the event does have some very interesting twists. The Classic, which runs May 23 – June 1 at the Will Rogers Memorial Center in Fort Worth, is the largest AQHA-approved show in Texas. The event features traditional cutting, reined cow horse, reining and snaffle bit classes. But this year, two new Texas Classic offerings are expected to take center stage. 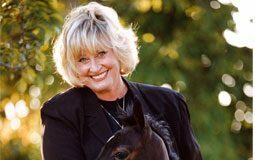 The first-ever World Conformation Horse Association (WCHA) events, which are open to all western performance horses, are taking place during the Texas Classic on June 1. 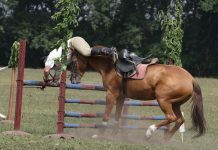 Horses are shown in-hand, like halter classes, but the events are unique in that they reward horses with correct conformation which allows for success under saddle, not just halter. The WCHA was created to encourage interest in and competitive opportunities for conformation horses beyond halter events. On May 25, spectators will be treated to another unconventional competition in the form of the “Extreme Mustang Smackdown.” During this event, five American Mustangs that competed in the 2007 Extreme Mustang Makeover last September in Fort Worth, Texas, will take on five of the best domestically raised horses in a “no holds barred” freestyle event that is attempting to raise awareness about the trainability of wild Mustangs. A winner-take-all purse of $5,000 is up for grabs for the event. 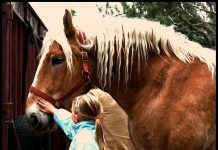 Clark says spectators can expect a fun and exciting show as the Mustangs, ranging in ages from 4 to 6 years old, work to prove their mettle against older more experienced show horses. That would be fun! I have a horse show myself on June 1st! Ft.WORTH??Omg!! I might just go! !